Wrigley Field in Chicago, home to the hapless Cubs, turns 100 this year. 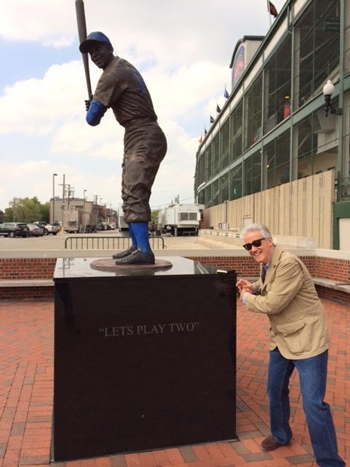 NPR’s Scott Simon visits Wrigley and talks to baseball great Ernie Banks and others about the legendary ballpark. We went to a ballgame this week. 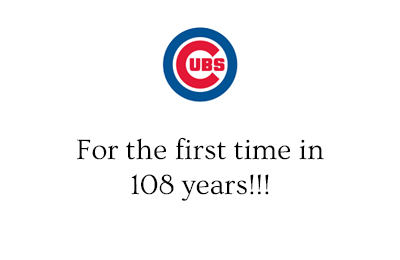 Cubs versus Yankees at Chicago’s Wrigley Field, which is observing, no, celebrating its 100th anniversary. Now the Taj Mahal and the Great Pyramids are wonders of the world and older by a few centuries, but you can’t get a Chicago dog with celery salt and hot peppers there. 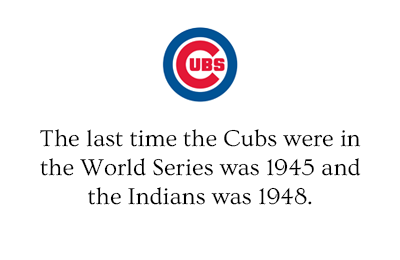 Speaking of ancient times, the Cubs haven’t won a World Series since Roosevelt was president, Theodore Roosevelt, in 1908. We’re outside of the park in front of the marquee, and you know, when my mother died last summer, the Cubs were kind enough to put her name up here. 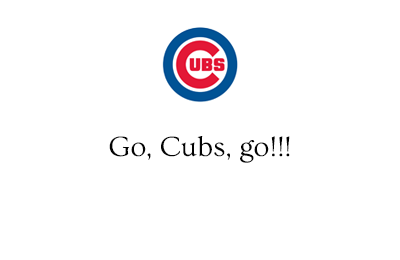 My grandfather, my father, my stepfather, my mother died without ever seeing the Cubs win a World Series here. And you know what, now they’re coming for me. So over the years, the ballpark has become the club’s marquee attraction with its hand crank center field scoreboard, its red brick outfield walls clad in ivy, a pipe organ that belches melodies as players come to bat, and thickets of green seats nestled so close to the field, the shortstop looks like he’s only a few spots down on the subway platform. Wrigley Field is a ballpark, not a super Stadium, suspended in time from an era of Ty Cobb, gaslights, and brewskis. Crowds come early to watch batting practice and hope to catch a ball in the stands. We found Jim, a Yankee fan – so I guess I’d know why he’d want to conceal his last name – who brought his family to town for the game. JIM: Exactly. It’s a tradition and it holds baseball at what baseball’s all about. SIMON: Some of the most ardent fans sit in the bleachers where balls rain down during batting practice in a way the Cubs can rarely manage for actual games. A little boy named Jason from Fort Mason, Iowa wore a Cub jersey and thumped his baseball mitt and caught a ball from a bat of a Cub and got a player to sign it. 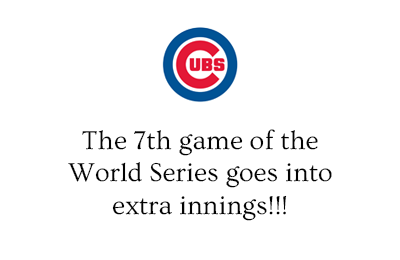 What’s special about Wrigley Field? Because the Cubs have never won a World Series in their century here, a lot of Wrigley Field’s actual game memories are milestones for other teams, like Babe Ruth pointing to center field in 1932. UNIDENTIFIED ANNOUNCER: With two strikes on him he pointed to the flag pole in the center field bleachers, plainly indicating that’s where he means to pack that last pitch. UNIDENTIFIED ANNOUNCER: He did it. It’s a home run. JOHN PAUL STEVENS: No, he definitely pointed. There’s no doubt about the fact that he pointed, no. There’s a disagreement about the message that he was trying to convey. 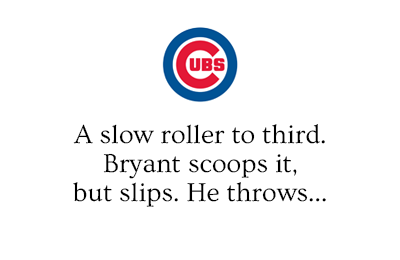 SIMON: Then there’s game six of the 2003 National League Championship Series, the Cubs just two outs away from reaching the World Series when a good fan named Stephen Bartman reached for a foul ball before the Cub outfielder could catch it. UNIDENTIFIED ANNOUNCER #2: Hit in the air down the left field line. UNIDENTIFIED ANNOUNCER #3: Got it. Got it. UNIDENTIFIED ANNOUNCER #2: Alou reaching into the stands and couldn’t get it. And he’s livid with a fan. ANNOUNCER #3: That’s awfully close to fan interference right there. SIMON: And the Florida Marlins went on to win that year’s World Series. So this week, we sat in Steven Bartman’s seat. Sitting in this seat, I kind of feel like I’m sitting on a deck chair of the Titanic. But May 12, 1970, Ernie Banks, who was twice the National League’s most valuable player despite playing for the last-place Cubs, broke the milestone of 500 home runs that only a few players have reached. 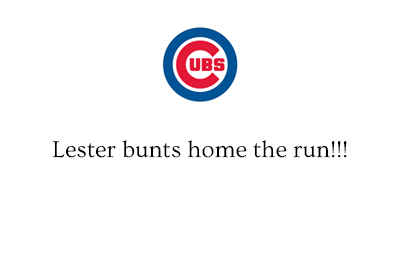 JACK BRICKHOUSE: That’s a flyball, deep to left, back, back. SIMON: By the way, that’s my godfather, Uncle Jack Brickhouse, with that home run call. BRICKHOUSE: That’s it. That’s it. Back, back. That’s it. All right. He did it. Ernie Banks got number 500. ERNIE BANKS: My daughter told me before I came to the ballpark, daddy, would you get this over so we can have some rest at home? So I told her, yes, Jan, I will do it. SIMON: Ernie Banks received the Presidential Medal of Freedom this year from President Obama, a White Sox fan. Over the years, Mr. Banks has become a national symbol of grace, good cheer, and the triumph of hope over experience. He would remind his teammates each day that whatever their disappointments, they played a game for a living and declared, it’s a beautiful day for a ballgame. Let’s play two today. So we sat with Ernie Banks, who is now 83 and a dapper gent in a fedora in the grandstands along the third base line. BANKS: It’s an amazing place to me. You see the vines coming up and you can see the fans who are sitting in the stands in front of you when you’re at bat. I couldn’t wake up fast enough in the morning. I just could not wait to get here. SIMON: Look, you’re one of the greatest baseball players of all time. That being said, do you kind of wish you could’ve played in the World Series here? BANKS: My World Series – I mean, winning is a lot of fun, but the main thing in my life is making friends. After the game is over, I’d walk out of this ballpark and see kids waiting for autographs. And I would look in their faces. And I met a lot of kids. They were 10 years old, and now they’re in their sixties. And they still talk about things that I did, things that I signed. And I loved the winning part of it, but I really like the fact that I had met some nice people in this ballpark. SIMON: When you get to be a hundred years old like Wrigley Field, almost every blade of grass or grain of dirt can have a story. My Aunty Marion’s third husband was Charlie Grimm, the Cubs old first baseman and manager – quietly, his ashes were sprinkled along this first base line. Now the Cubs don’t like to talk about this because they don’t want Wrigley Field to be awash with the ashes of deceased cub fans, but if Derek Jeter flops on his derrière around first, he’ll get up with a pocket full of Uncle Charlie. 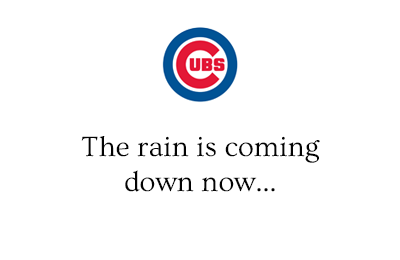 The ballpark is the Cubs’ most potent attraction in victory and defeats which, over a century, has mostly been defeat. But crowds keep coming. The appeal of Wrigley Field is almost impervious to wins and losses. Wrigley isn’t retro, it’s the original of what’s become a much-imitated ballpark brand. But the team will make a raft of renovations, including an enormous video screen in left field to maximize ad revenue. Some fans worry that it might change Wrigley’s character. 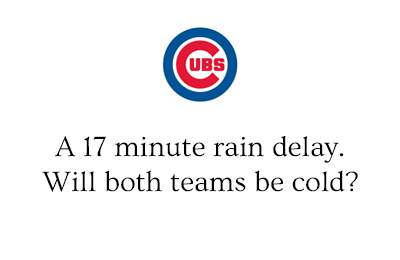 This week, it began to rain during the night game against the Yankees. People stayed in their seats. They talked. They cheered. They laughed in the rain and soaked in the character. Only a few people took off for the exits. What place could somebody have that’s better to go than Wrigley Field? CROWD: (Singing) Three strikes and you’re out at the old ball game. SIMON: You’re listening to WEEKEND EDITION from NPR News.